Short Sale Homes | The Villages & Ocala, FL Explore Homes for Short Sale! As homeowners come near foreclosure on their property, they have a last resort option: Holding a short sale. To avoid foreclosure, the seller asks their mortgage lender to sell their home for a price that is less than what they owe on the property. In addition, the lender agrees to forgive the rest of the loan (so they do not have to deal with a foreclosed home). For this reason, you can find a majority of these homes containing a discount price that makes for once un-affordable homes affordable. 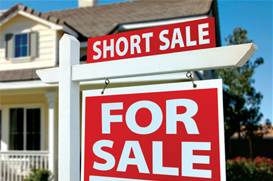 Short sales are a way to buy properties which are under market value. The banks are willing to take a loss on the property in order to liquidate it and retrieve some of the value, which has been lost as a result of the loan going bad. The idea is to minimize losses while still being able to liquidate the property. These are some of the best real estate deals around. Why It’s Safe To Buy a Short Sale? In a nutshell, a short sale allows you to get a good deal on a normally expensive piece of real estate. Also, short sale properties have been better taken care of than bank-owned properties, which have most likely been destroyed by the original owner of the property or by vandals. Owners don’t want to get back at the bank while still living in the property in order to enjoy a decent standard of living. The seller still lives in the property throughout the process, and needs to “sell” the property to a buyer. Having a home in bad condition would not benefit them in this situation (though getting a home inspection is always recommended). Buying a short sale isn’t for everyone. It all depends on the buyer’s experience in dealing with short sales. Short sales can be good deals, but it takes a lot of caution to avoid the common pitfalls which come with buying short sale homes.